A Action is dedicated to providing the service you need for any water heater issue. 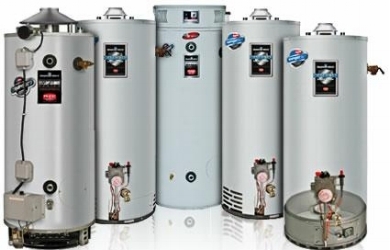 A Action Home Services is proud to be able to assist residential customers with the installation, maintenance, or repair of any make, model, or brand of water heater. If it is on your property and utilized for delivering the hot, potable water you use for bathing, cooking, and cleaning, we can ensure it is running at optimal levels. We offer comprehensive troubleshooting for valued appliances and make sure that any service issues you experience are distant memories after our licensed professionals leave your property. To learn more, reach our knowledgeable and courteous staff, 24 hours a day. Call us at (703) 922-0303. Plumbing Service when You Need it! Being a locally owned and operated home services provider, we are only satisfied when we are able to solve the problems our friend, neighbors, and customers are facing. If you have an issue with a water heater on your property, know that you can turn to us and we will be happy to swiftly resolve whatever issue you might be facing. It doesn’t even matter if you are having trouble after hours because A Action Home Services offers 24 hour emergency services to help you. Our customer service team and technical staff are always standing by and looking forward to assisting you in your time of need. If your hot water system is giving you issues, contact us today.